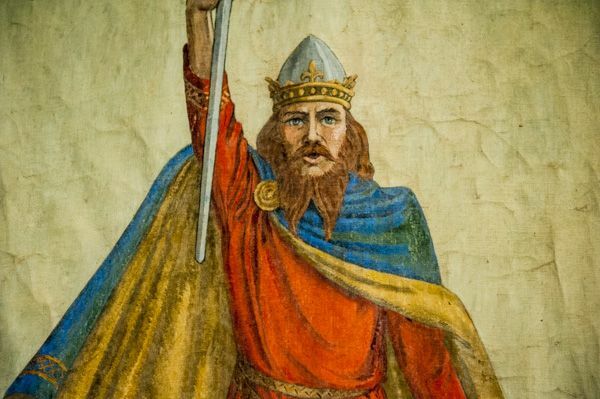 King Alfred the Great: No, we won’t change our religious beliefs. Libs are still marveling that they could have lost the 2016 election, after their candidate so patiently explained to us rubes how we’ve got to change our religious beliefs. Now please, just because this was originally posted in 2015, don’t go thinking they’ve retreated an inch from this position. Now that they can’t use the Supreme Court to wage their culture war on Christianity, they’ll double down everywhere else. Stand firm: for the Lord is our defense (as King Alfred said), Jesu defend us. This entry was posted on Sunday, October 7th, 2018 at 10:58 am	and tagged with Democrats hate Christianity, hillary clinton, King Alfred, liberals vs. Christianity, libs demand religious beliefs must change and posted in news, religion. You can follow any responses to this entry through the RSS 2.0 feed. The full armor of God is more necessary these days than in any time in my recent memory. Jesus is the ONLY WAY! The assault is very real and both Jewish people and Christians are frequently targeted these days. The next few years could be quite interesting.